These tools relating to carbon monoxide are provided for use by anyone wishing to promote boating safety. A comprehensive yet easy-to-understand brochure about the dangers of carbon monoxide, how it may accumulate, and ways to prevent carbon monoxide poisoning. 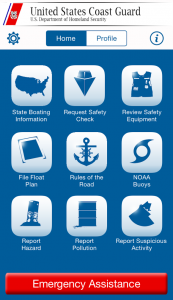 Use this to help educate others about the threat of carbon monoxide both inside and outside their boats. Send to your local newspapers, community boating publications, and newsletters, or any local print media outlet or publication that may have recreational boaters as readers. PSAs are typically run free of charge. Coming Soon! Print onto adhesive backing to create your own CO warning decals. Place them near exhaust outlets to warn about the hazards of CO poisoning. For best results, ask your local print shop to download these and create customized labels. or the free Abobe Reader.